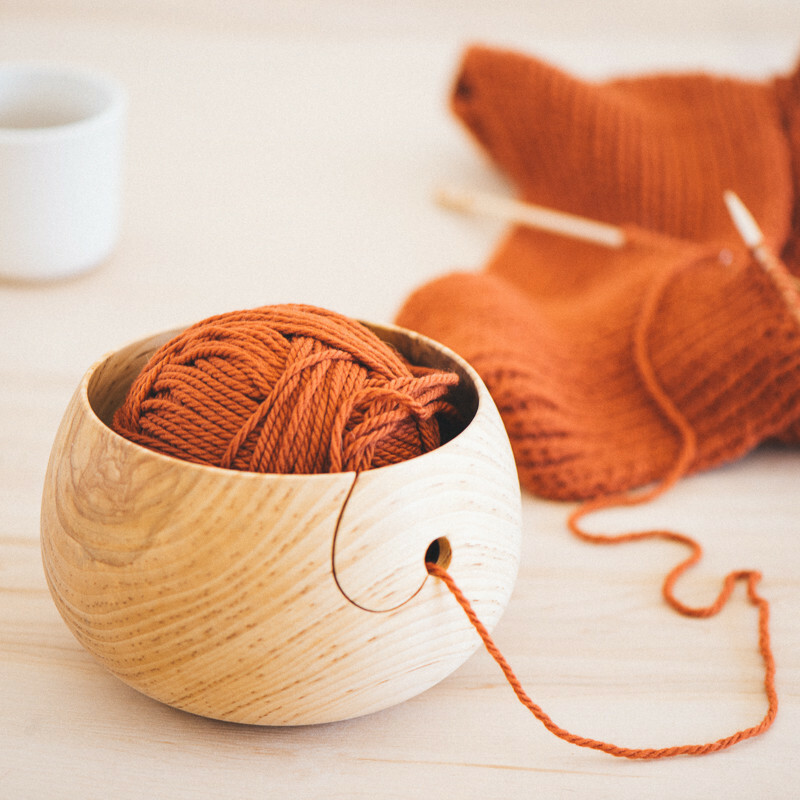 Yarn bowls are the solution to keeping your yarn from rolling away and falling to the farthest corner behind the sofa (where it inevitably falls in with the no-good dust bunny crowd). Guide fine- or heavy-gauge yarns down the slot to the opening, where it will stay safe and secure while you knit, yet ready to release the yarn without breaking if needed. Turned by hand in Maine from American birch, and finished with natural oils for protection. Each sturdy yet light bowl is unique—no two are alike. 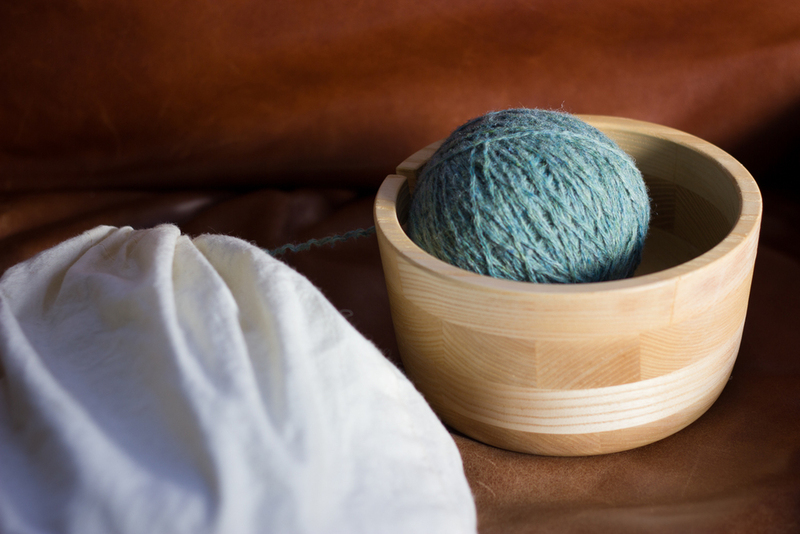 I am a big fan of my own yarn bowl and use it all the time. Made from reclaimed ash and finished with a natural wax, mine is from Mountain Street Arts on Etsy (who doesn't appear to be selling them currently). 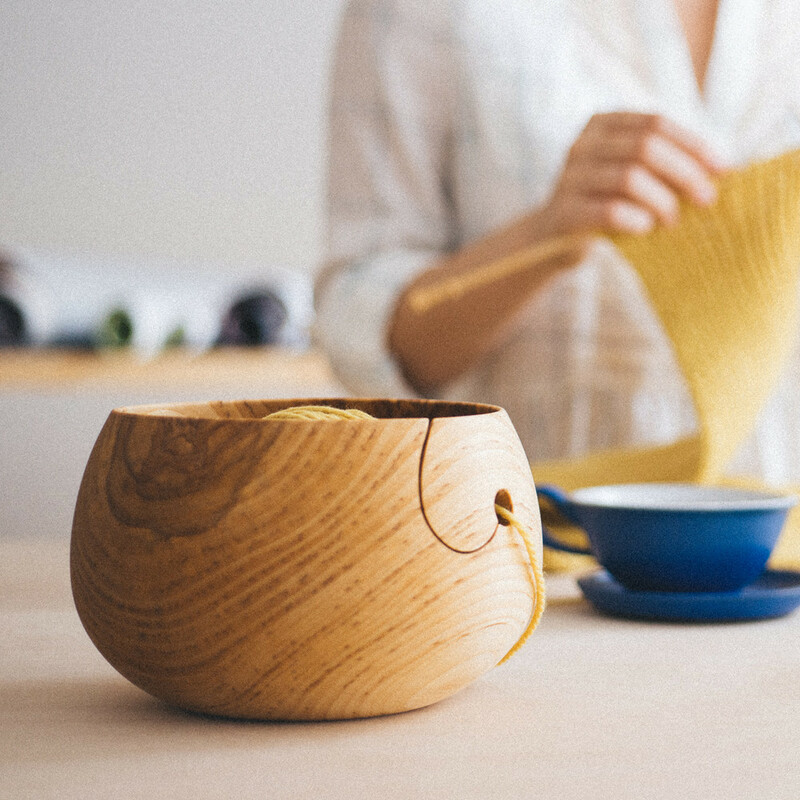 I've compiled a short list of other Etsy yarn bowls at the bottom of this post. My yarn bowl: The perfect size at 6 by 2 3/4 inches.